Highlight colorizes standard bleach solutions to allow visualization of disinfected regions, and gives bleach the ability to fully cover and adhere to all surfaces. The color is designed to fade after 15 minutes to indicate when decontamination is complete and prevents staining of reusable materials. While the bleach spray recommended by the WHO disinfection protocol is widely used, it is difficult to guarantee complete coverage on contaminated surfaces. Bleach is transparent and fails to stick to waterproof materials like PPE suits, leaving healthcare workers susceptible to infection. 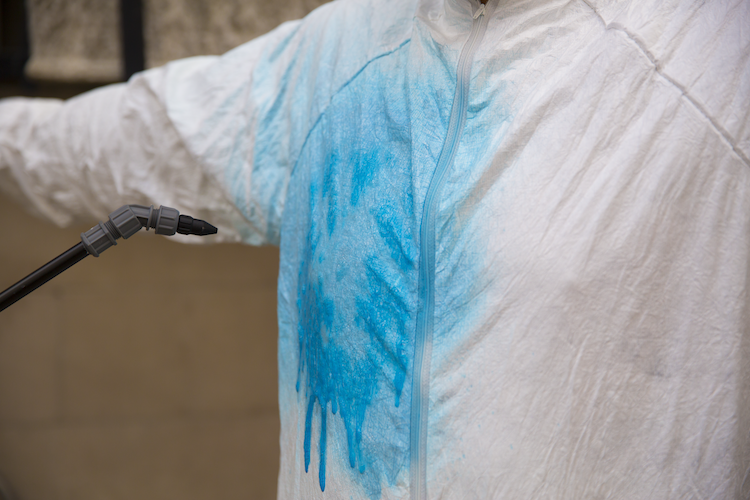 Highlight is a low-cost, practical innovation that can be easily implemented with bleach solutions being used now in the field to improve decontamination effectiveness.